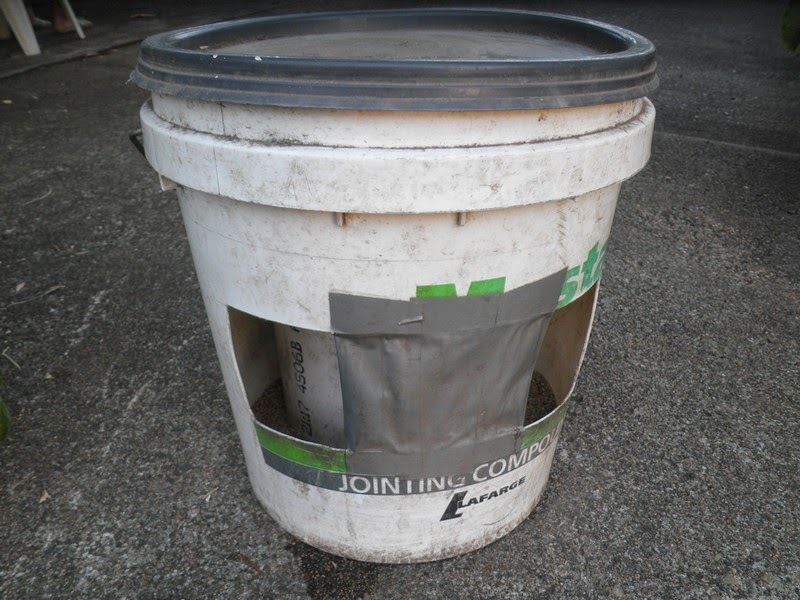 Cut a 150mm diameter PVC pipe to fit the full length of the bucket. Then cut a 2 cm slot at the bottom of the pipe, half way around the pipe. 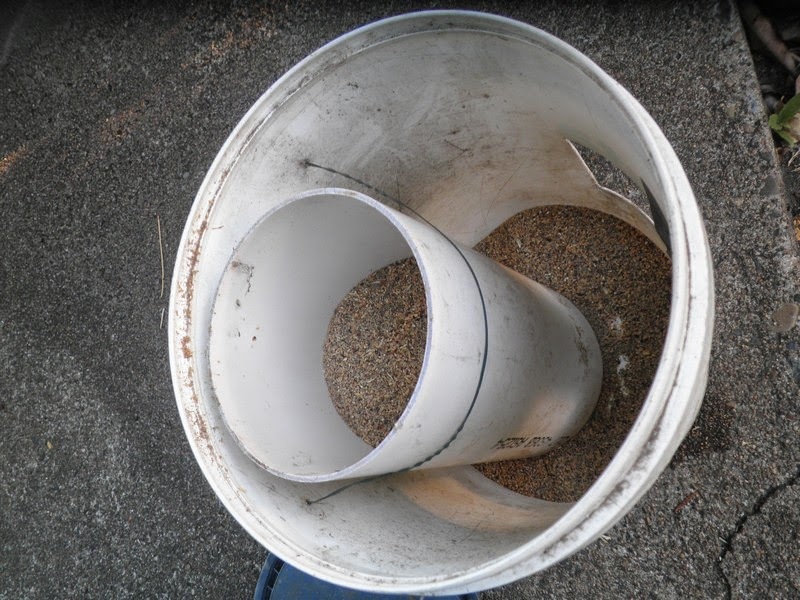 This will create a hole (slot) when the pipe sits on the bottom of the bucket and grain can flow from the pipe (grain storage) into the bucket. Cut two "windows" (holes) 5x10cm into the bucket about 5cm above the bottom for chooks to stick their heads in. 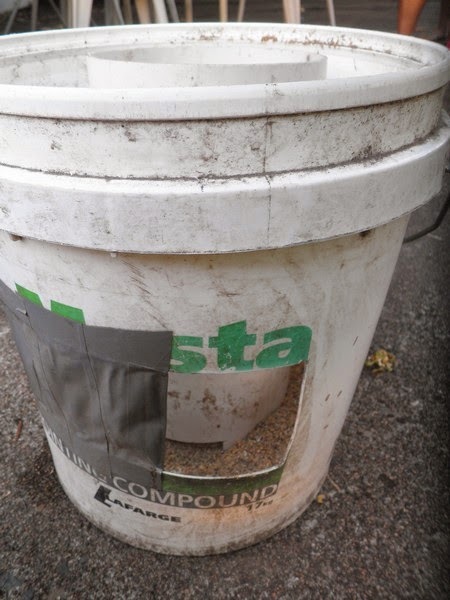 The holes need to be just large enough for a chicken's head to get in, so when pecking grain, the grain will not get thrown out. Thanks for your comment. You are spot on. If grain is on a saucer chickens would throw them out in a search for sunflower seeds they love. When we built the feeder the original bucket had just one long slot and chooks managed to throw grain out. thus I have to divide the slot, with a grey adhesive tape, to make two small windows just large enough for chooks to stick head in. The problem solved. Works perfect with no grain wastage.